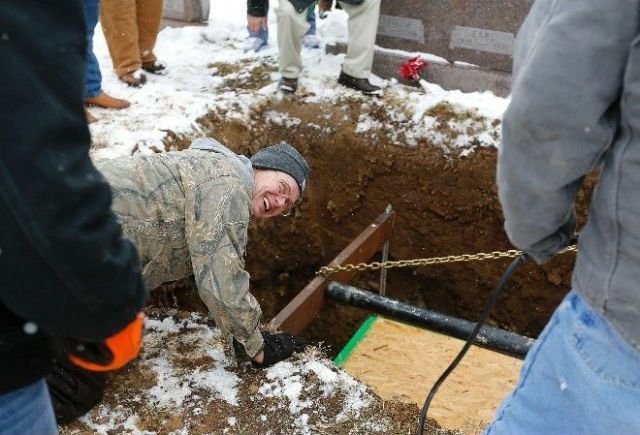 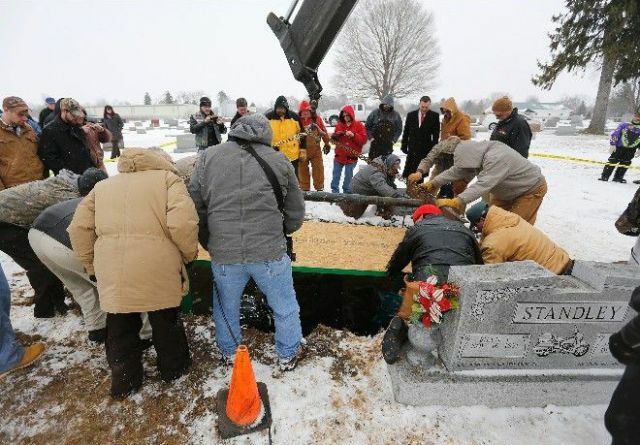 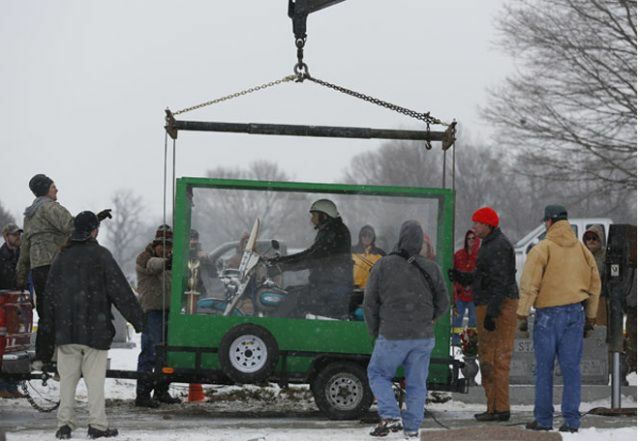 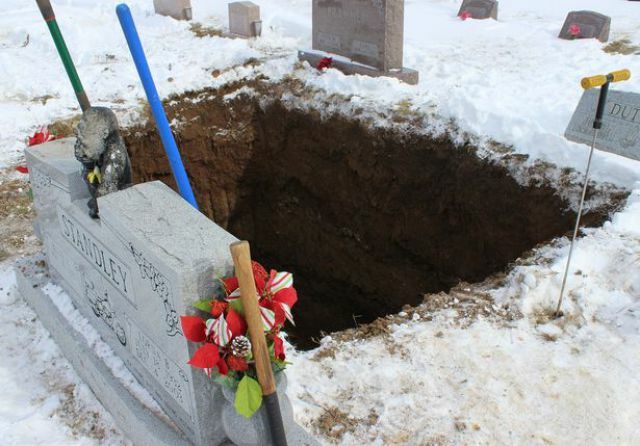 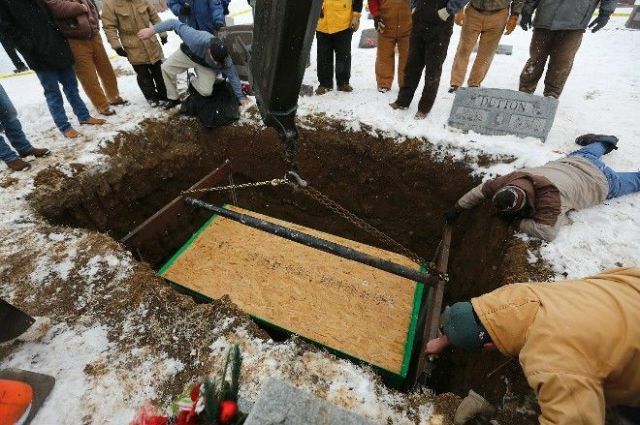 84 year old Billy Standley of Ohio died of lung cancer recently and spent 20 years planning his burial prior to this. 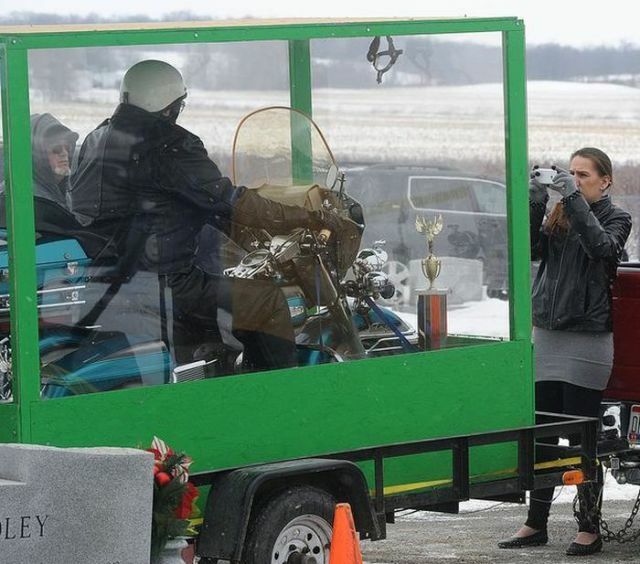 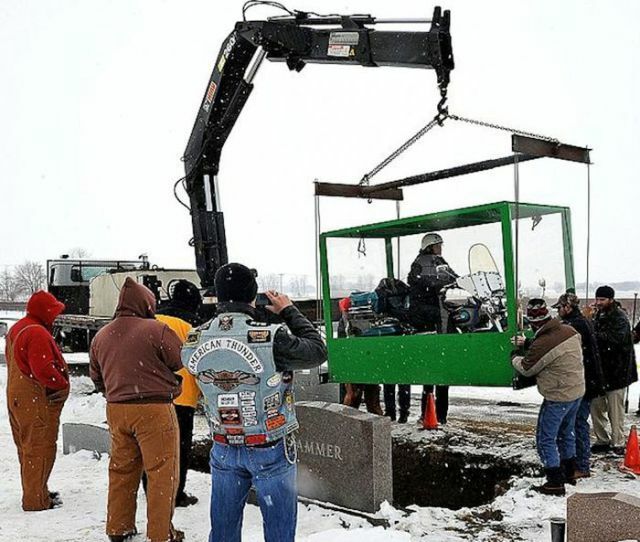 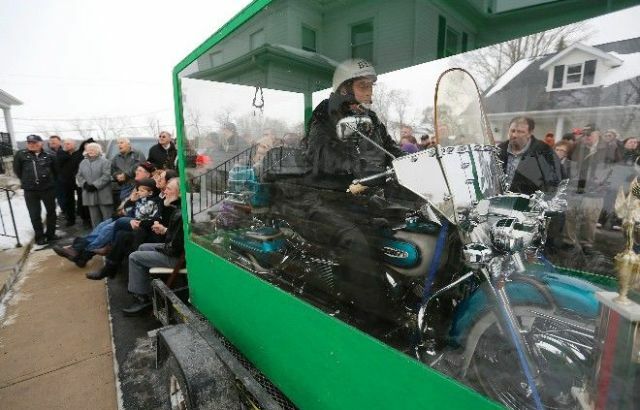 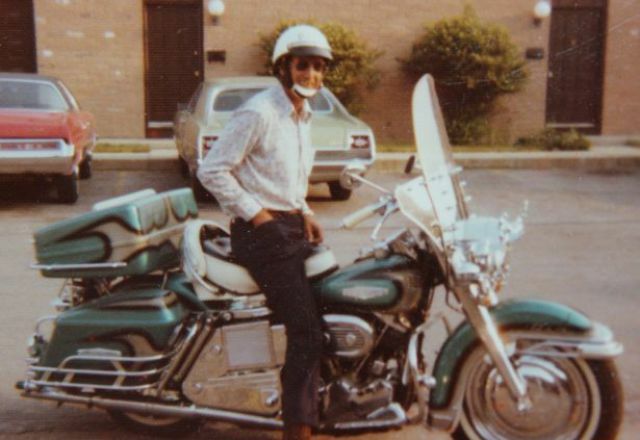 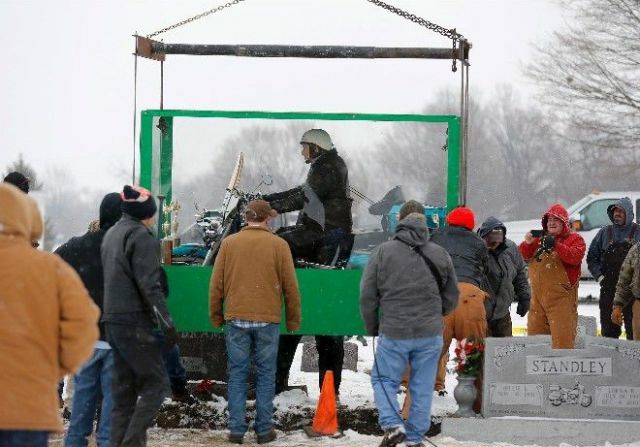 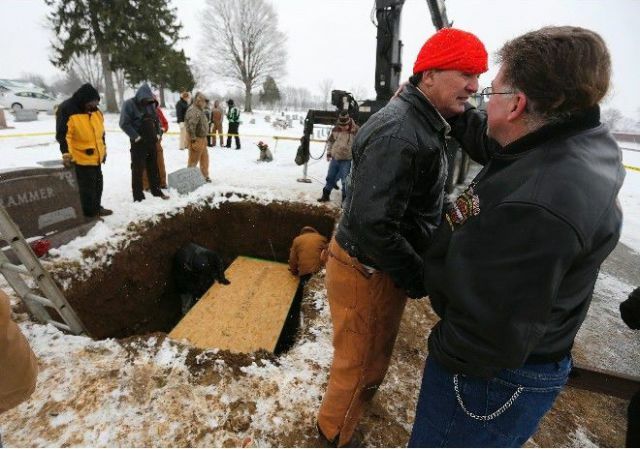 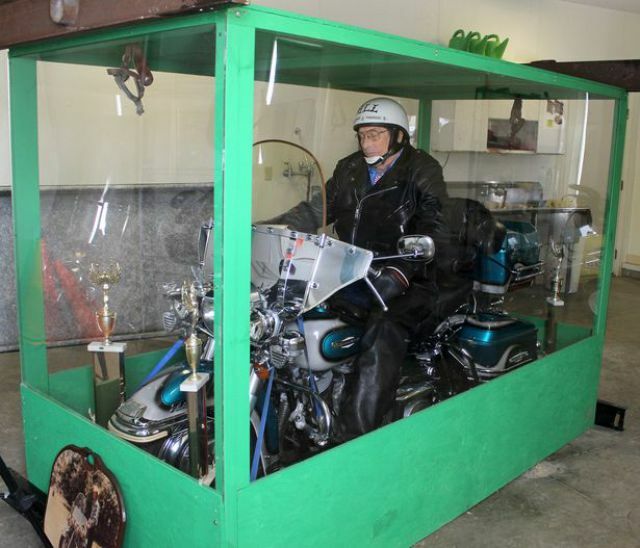 He arranged to be buried in a wood and plexiglass coffin, wearing full riding gear and sitting atop his 1957 Harley Davidson motorcycle. 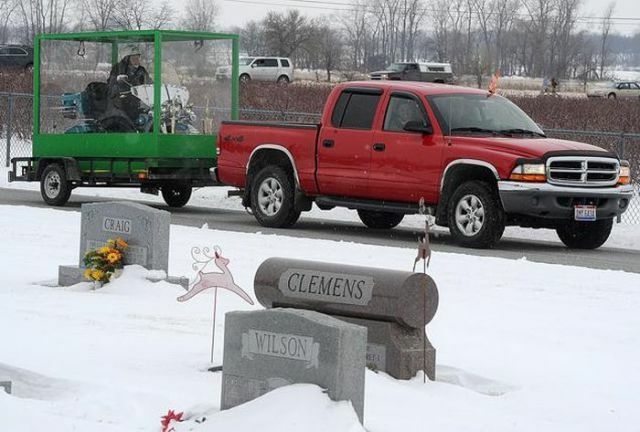 poor Harley . . .